Congratulations! You have successfully registered for the "SAP CRM Training" event. You will receive an email shortly with the event details. 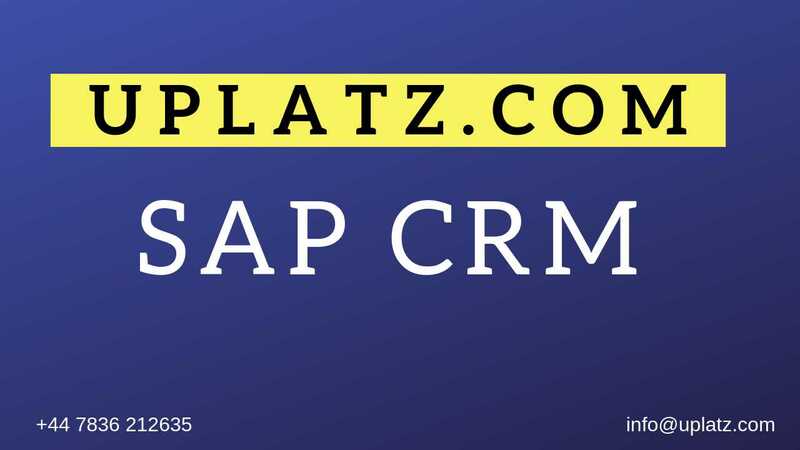 The SAP CRM application is an integrated Customer Relationship Management (CRM) software developed by SAP SE that targets business software requirements of midsize and large organizations in all industries and sectors. • Fundamental Knowledge on required Functional Area. Individuals who want an understanding of Customer Relationship Management (CRM) and its benefits. The average salary ranges from approx. £50,698 per year for SAP CRM Consultant to £134,383 per year for SAP CRM Lead/Manager. There are currently 9,000+ open SAP CRM jobs in UK ranging from CRM end-users to consultants to managers.